This is Norwich's oldest existing boundary marker plate. Its original location was in St Martins Lane, as noted by JE Read in his survey, and the picture he took in 1934/35 shows that it had already been mounted on a block of wood. An annotated 1884 OS map shows the location to have been opposite number 47, which used to be the Pineapple public house. 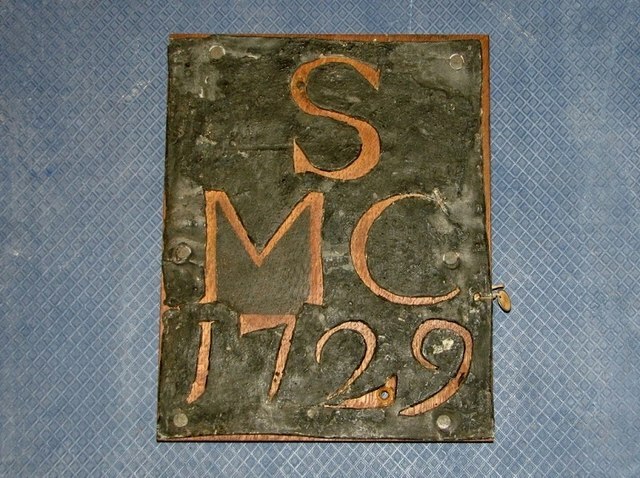 The plate dates from 1729 and marked the boundary of the parish of St Michael Coslany (St Michael and All Saints aka St Miles). It is unique in that the legend was pierced through a sheet of lead, which is stamped 'III' on the reverse. This plate forms and of the Norwich Bridewell Museum's collection since 1937.